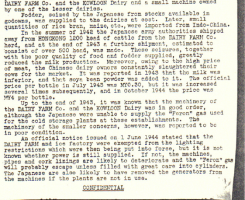 Elizabeth Ride has sent another part of the 1945 BAAG report on a variety of subjects in Hong Kong during the Japanese occupation of Hong Kong in WW2. 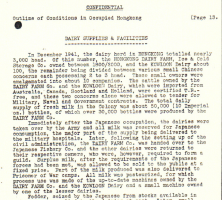 This time the report covers Dairy Supplies and Facilities. Of particular interest are two companies which are still operating. 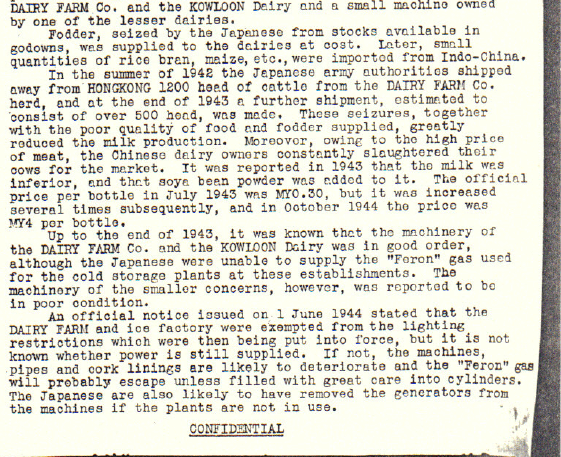 Dairy Farm which began in 1886 and Kowloon Dairy, with rather unfortunate timing, in 1940. This article was first posted on 9th May 2014. 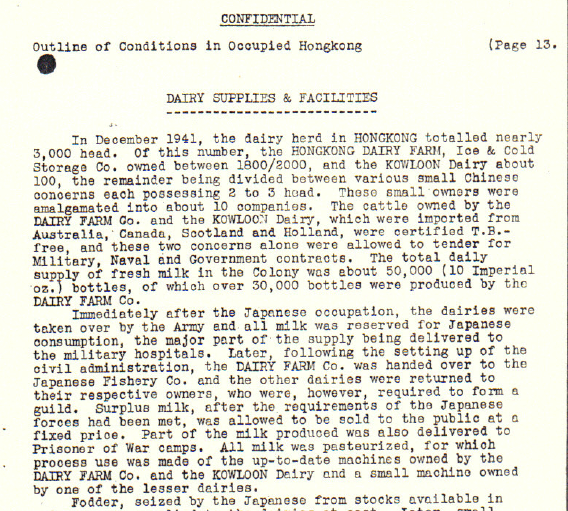 Our index lists many articles about Hong Kong during the Second World War.